Ashley cheers for the Chicago Rush of the Arena Football League. She’s a Broadcasting major in college and is currently working as a news/entertainment reporter at WJOB-AM 1230. Aubrey Aquino cheered for the Arizona Cardinals, Oakland Raiders and danced for the Sacramento Kings. She’s a graduate of San Jose State University with a degree in Radio/TV Journalism. Aubrey anchored a morning show in Oregon and covered traffic from a plane over the Bay Area. She’s also worked as the 12 News On-Time Traffic Reporter at KPNX-TV in Phoenix. (Update 12/29/06): Aubrey is now in Miami working as an Entertainment Reporter for DECO Drive. Aubrey Aquino. Visit Aubrey’s website here. Kimberly Ball’s first career was as an English teacher in the Dallas Independent School District. She thought both elementary and high school English for four years before making the move into the worked of broadcast journalism. From a morning radio slot at MIX 102.9 in Dallas, she entered television as the morning show anchor for KETK-TV in Tyler. 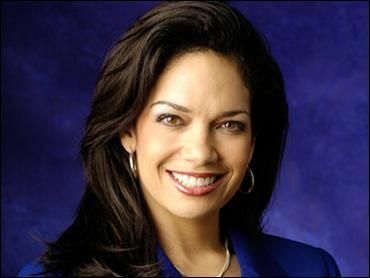 From there, she went on to Austin, were she anchored both the morning and noon newscasts for the CBS affiliate, KEYE-TV. After Austin, it was on to Los Angeles, where she worked for E! Entertainment and then to KCBS/KCAL. A graduate of Bishop Dunne High School, Kimberly attended Catholic schools all of her life. She says one of the most exciting things about college life at Loyola University in New Orleans was the chance to put up her uniform and wear her own clothes for once. She soon found herself in another uniform, the one of a Dallas Cowboys Cheerleaders. As a cheerleader for “America’s Team,” Kimberly not only cheered them onto victory in Super Bowl XXVIII at Atlanta’s Georgia Dome, but also made lasting friends she will cherish for a lifetime! Former San Francisco 49ers Gold Rush Cheerleader Julie Durda joined KPHO-TV (CBS 5) in Phoenix in November, 2006. Julie was born and raised in Sacramento, Calif., where she started her career in broadcasting as a traffic and feature reporter in 2003 at KXTV. She continued her experience at KRON in San Francisco before coming to CBS 5. Julie is the head of the Time-Saver Traffic Team. Between 4:30 and 7am she helps early risers plan their commute. She graduated from American River College and attended Sacramento State, and is finishing her studies with a degree in meteorology from Mississippi State University. Julie also appeared on the TV reality series The Bachelor. Update: As of November 1st, 2007 Julie is the new morning and midday weathercaster for WSVN-Ch. 7 in Miami. Former Indianapolis Colts Cheerleader Megan Glaros attended Indiana University where she graduated with a double major in journalism and atmospheric sciences. During college she interned with Tom Skilling at WGN-TV in Chicago and at WRTV in Indianapolis. Megan then went on to work as a morning co-host and weather anchor at WTAP in Parkersburg, West Virginia. Now Megan is part of Miami’s WPLG-TV Local 10 Weather Team and SportsJam Live. Update: Starting in May 2008 Megan will be the new weekend weather forecaster for WCBS-TV in New York City. Former Kansas City Chiefs Cheerleader Najahe Hall is a morning anchor for KSLA-TV News 12 in Shreverport. She also anchors the noon newscast and reports for the station. 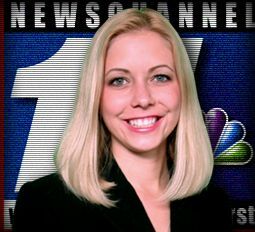 Najahe comes to the Ark-La-Tex area from Casper, Wyoming where she was a primary anchor, producer, and reporter for KTWO-TV. Before that, Najahe worked as an anchor and reporter in Sioux City, Iowa. Throughout her broadcasting career Najahe has covered many interesting news stories including the 2004 Iowa caucuses. When she’s not working, Najahe enjoys skiing, dancing, and golfing with her husband, who is a golf professional. She also enjoys traveling and has had the opportunity to visit many countries including England, Italy, and Japan. “My travels have helped me develop a strong respect for various cultures. I have learned, behind every individual, there is a unique story waiting to be told.” She holds a broadcast journalism degree from the University of Kansas, William Allen White School of Journalism. Lindsey Kovacevich was a dancer for the NBA Denver Nuggets and a member of the CHL Colorado Eagles Dance Team the Eagles Chicks. She was born in Ventura, California and grew up in Southern California most of her life. In 2002, Lindsey was off for an adventure to Colorado where she attended college at Colorado State University in Fort Collins, CO. She was in Kappa Kappa Gamma sorority and served as Vice President of Organization for a year. She spent her free time with friends and never missed a home football game to cheer on the Rams. In the spring of 2005, Lindsey was off to Rome, Italy where she attended the American Institute for Foreign Study. She got the full cultural experience and had the opportunity to take a history class on-site at many historic venues such as the Colosseum. Lindsey received her Bachelor of Arts Degree in Speech Communication with an emphasis in media studies. Following an internship at KCNC channel 4 news in Denver, she moved to Roseburg, Oregon to start her first job as Anchor and Reporter at KPIC-TV. Former Seattle Sea Gal Lauren Leeds is now reporter and anchor in Eastern Washington state. Lauren is an anchor on the 11 o’clock news for ABC-42 KVEW which serves the tri-cities area of Pasco, Richland, and Kennewick. Lauren graduated from the University of Washington where she earned her degree in Communications. Throughout college, Lauren worked at KOMO-TV in Seattle where she was part of the crew that documented Seattle’s first trip to the Super Bowl. 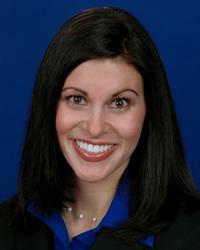 Jenna McKee joined the Channel 3 Eyewitness News staff in June 2008. You can see her reports throughout the week on Eyewitness News at 6:00 and Chattanooga’s #1 newscast, Eyewitness News at 11:00. Jenna is a Tennessee native and most recently worked for WKRN-TV in Nashville as a reporter. Before her stop in the Music City, Jenna was an Anchor/Reporter for WBBJ-TV in Jackson, TN. She earned her Bachelor of Science in Electronic Media Journalism from Middle Tennessee State University where she was a Blue Raider cheerleader. She also cheereed for the Tennessee Titans. Heidi Meili cheered for the Sea Gals for 5 seasons and was the Sea Gal of the year in 1995. She has a MA in communications from the Edward R. Murrow School of Communication at Washington State University. She also has a BA in English education. Heidi’s now a reporter and anchor at KECI-TV in Missoula, Montana. Former Miami Dolphins Cheerleader Mireya Mayor is a correspondent on National Geographic’s Ultimate Explorer. She has taken viewers to the thick jungle of Madagascar, looking for a species of tiny mouse lemur she helped discover; to the Gulf of California, searching for powerful six-foot-long Humboldt squid, with teeth to make short work of prey; and diving with sharks. Mireya is currently obtaining her Ph.D. in anthropology from Stony Brook University in New York. Former Utah Starzz Dancer Jessica Sanchez is a morning reporter for Local 6 First News in Orlando. Jessica of Filipino/Hispanic ancestry, got her start in television 11 years ago after landing a role as co-host on KSL’s Saturday morning kid’s show “Zinj TV.” It was during this time that she set her future goals in TV journalism, knowing one day it would be her career. After graduating from the University of Utah in 2000 and earning a degree in mass communication and a minor in psychology, Jessica decided to experience the “behind-the-scenes” aspect of TV news before jumping into reporting. She worked at Salt Lake City’s Fox 13 for two years as a video editor and associate producer. From there, she went to KPVI in Pocatello, Idaho, in 2002 as a weekend anchor/reporter. After putting in 18 months of one-man-banding, Jessica made the jump to Orlando in April 2004 as Local 6’s morning reporter. Former Miami Dolphins Cheerleader Pamela Silva is a reporter and anchor of Telefutura’s weeknight primetime news and information program TeleFutura En Vivo y Directo. Stephanie Soviar is the newest member of the “Good Morning Indiana” team. She is pleased to represent Metro Networks on WRTV for her very first on-air job. In 2003, Stephanie graduated from Ball State University with a Bachelor of Arts degree in Telecommunications. She worked at the campus news station, News Center 43, as an anchor and reporter. She was also the recipient of the prestigious Telecommunications Promotions Lilly Grant Award, and a member of Alpha Phi sorority. Stephanie moved to Los Angeles after college to work in production at E! Entertainment Television. While there, she worked on red carpet affairs like the Academy Awards, Emmys, and SAG Awards. Stephanie also spent time in Ecuador working on the Miss Universe show. Originally from Shelbyville, Stephanie considers herself a true-blue Hoosier, and has participated in many organizations around the city. She was a member of the Indianapolis Colts Cheerleaders for three years, and grew a love for auto racing, while working for the Indy Racing League and IMS Productions. She had the unique opportunity to interview Colin Powell and Russell Crowe during their trips to the Indianapolis 500. Stephanie also serves as a tutor for homeless children with the Mission on Wheels program in Indianapolis. Update 10/29/06: According to The Indianapolis Star Stephanie is now at WTHR (Channel 13) where she covers local events, lifestyle and entertainment. Update 5/8/07: Stephanie is the new host of Great Morning, St. Louis More here. Lesley Stewart is the Coach and Choreographer of the CFL Hamilton Tiger-Cats Cheerleaders. She was also danced with the Toronto Argonauts Dance Team from 1995 to 2004 and was the head coach and coordinator for the Argos dance team since 2001. Lesley is also the morning traffic reporter for CH Morning Live on CHTV in Hamilton. Lesley’s a graduate of the Mohawk College Broadcast Journalism Course, where she studied Television and Radio, Public Relations as well as Media Law. Ashlee Tate was an Arizona Cardinals Cheerleader while attending Arizona State University. She graduated from ASU with a BA in broadcast journalism. 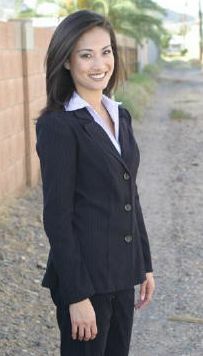 She is now a reporter with KFSN-TV the ABC affilliate in Fresno, CA. 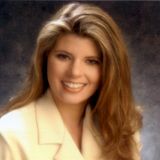 In 2005, Ashlee was awarded 1st place from the Arizona AP Broadcasters Association in Enterprise News for her in-depth look at the drought conditions plaguing the desert southwest. She was also awarded Best Newscast for News channel 11’s Today and was runner up Anchor of the Year for the state of Arizona. In September of 2007 Natalie was named the newest anchor of the MountainWest Sports Network. Natalie has worked for nine years as a sports anchor and reporter. She worked as weekend anchor for the Fox affiliate in New Orleans where she co-hosted various New Orleans Saints specials and weekly wrap-up shows. She also covered sports in Tampa, including the World Champion Tampa Bay Buccaneers, during her time as a sports reporter for the local CBS affiliate. Vickers also worked in Miami for a USA Network affiliate, WAMI. Vickers, who grew up in California, doesn’t just cover sports — she gets involved. She worked as a Miami Dolphins cheerleader, played softball for Broward Community College in Ft. Lauderdale, Florida, and swam competitively at Elk Grove High school in Elk Grove, California. 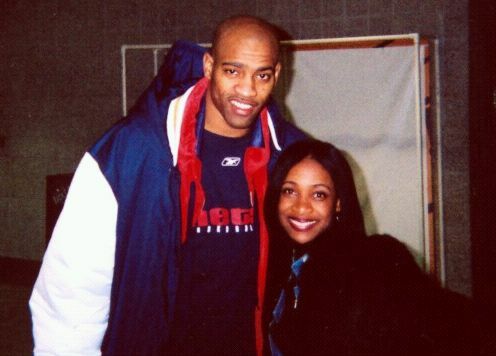 Andrea Williams, former member of the Milwaukee Energee, the dance team for the Milwaukee Bucks, has her own radio show on Jammin’ 98.3. From 6 to 9am Andrea provides the local news and weather during the syndicated Tom Joyner Show, and then at nine she takes over with her show that runs until noon. Andrea is a graduate of Central State (OH) University. Mindy Winkler cheered for the Indianapolis Colts from 1998-2000 and was also a Windjammers Cheerleader/Dancer for the CISL Indiana Twisters (Pro Indoor Soccer team) from 1996-1998. Mindy is a Ball State alum with both her Bachelors and Masters degrees.  She is currently a Traffic Anchor through Metro Networks/Westwood One for all of these radio stations Indianapolis Market: Z99.5 – WZPL, 104.5 JACK FM – WJJK, 107.9 the Track – WNTR, 102.5 Hit Country – WMDH, Shine 99 FM – WSHW, GOLD 95.9 – WIAU and ESPN 950 AM – WXLW. Mindy is also now back doing television work through Insight Cable hosting their “Hoosier Shopping” program on various stations and even their Video On Demand system. In 2005 while she was still just a “Fill-in” reporter (working on both radio AND television – the ABC affiliate, WRTV Channel 6) and busy building her own business, Mindy was named “2005 1st runner-up Best Traffic Reporter” by Nuvo News Magazine. Prior to this, she was the TV Kids Host “Commander KC” for the WB affiliate WTTV Channel 4 for two years. Heather Zara joined Detroit’s Local 4 in December of 2007 and is the traffic reporter during the 4pm, 5pm, and 6pm newscasts. Before coming to WDIV, Heather worked in sports broadcasting for nearly 5 years. She attended Michigan State University, where she earned a Bachelors degree in Broadcast Journalism. In college she was an anchor and sports reporter on MSU’s student news program, “Focal Point”. She was also the main host and field reporter on “MSU & U”, a sports and entertainment program, where she won an Emmy Award for “Best College Program”. Heather also worked for the ABC affiliate in Lansing as a sports reporter and producer and also spent some time on the Delmarva Peninsula, covering sports in Salisbury, Maryland. Before venturing into broadcasting Heather spent many years as a professional dancer; She was a member of the 2002-2003 AFL Detroit Fury Cheerleaders and a member of the Detroit Pistons Dance Team, Automotion, during their championship season from 2003-2004. 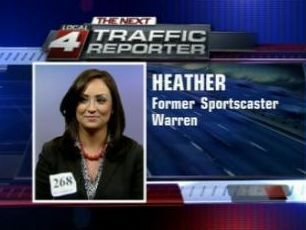 Update: In July of 2009 Heather moved to the sports desk, anchoring Channel 4’s weekend show. 2006 Houston Texans Cheerleader Amanda is a former reporter. A former television news reporter for a network affiliate, Amanda now prepares corporate executives and government officials for local and national media interviews. Amanda attended Loyola University on an academic scholarship. She graduated with honors and earned her BA in Broadcast Journalism, with a minor in sociology, in less than three years. As of 2009 Amanda is living in Washington state and is a Seattle Sea Gal. Ashley White joined WPLG-TV in Miami in January 2006. She was born and raised in Douglasville, Georgia and is the weekend traffic reporter at Local 10. She attended college at Columbus State University in Columbus, Georgia on an athletic scholarship where she also won the title of Miss Columbus State University. Ashley went on to compete in the Miss Georgia Scholarship Pageant where she was able to implement her platform, “Cancer Awareness and Education”, all across the state of Georgia via the radio, television and scheduled speaking engagements. She was also the Area Director for a non-profit organization Queen for a Day and HEROES in which she hosted parties at cancer facilities to help raise the self-confidence and self-esteem of pediatric oncology patients. Ashley transferred to the University of Miami and graduated with honors while receiving a Bachelor of Arts in Economics and a double minor in Business Law and English. While attending UM she enjoyed cheering on the ‘Canes as a UM Coed Cheerleader. She was also chosen to represent the ACC in the Athlon Sports Sideline Spirit contest. In 2007 Ashley became a Miami Dolphins Cheerleader.